If you’ve ever read anything I’ve written, or spoken to me for longer than30 seconds, you will know that I love Memphis, TN as a holiday destination. All of my plans for other holidays are usually intercepted by Memphis Lust – and Mr Kitty & I often have to force ourselves not to keep booking the same trip every 6 months. You would be amazed at what is in Memphis – aside from the World’s First Ever supermarket (Piggly Wiggly) and some of the most important historical sites of the past 100 years. We visited Tennessee a few times over the past 4 years, so these pictures are taken over the course of all our trips there. 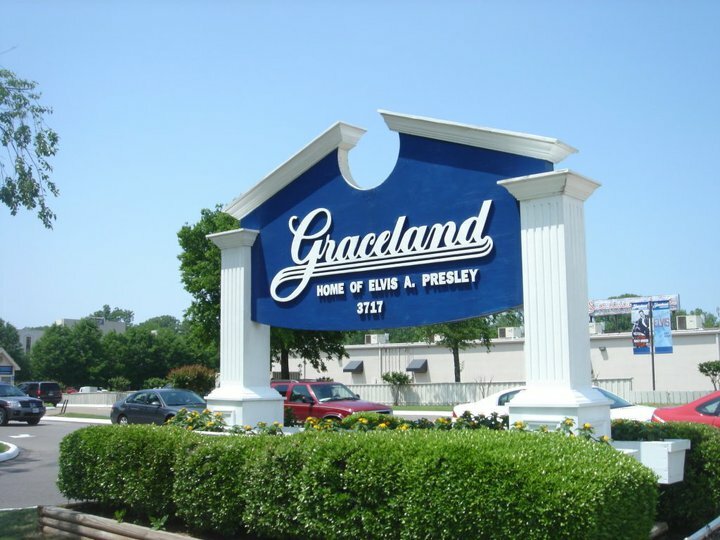 Let’s start with the obvious attraction – Graceland – and anything else you might associate with Elvis. Bizarrely, we visited Graceland 3 times – and although neither of us are huge Elvis fans, we both loved it. There are different stages of ticket you can buy – some allow you entrance into just Graceland Mansion, but the one we got gave you the whole shebang. We even got to go onto Mr Presley’s private jet and his Automobile Museum (which was built after Graceland was opened to the public in 1982). You can find out more about Graceland here. 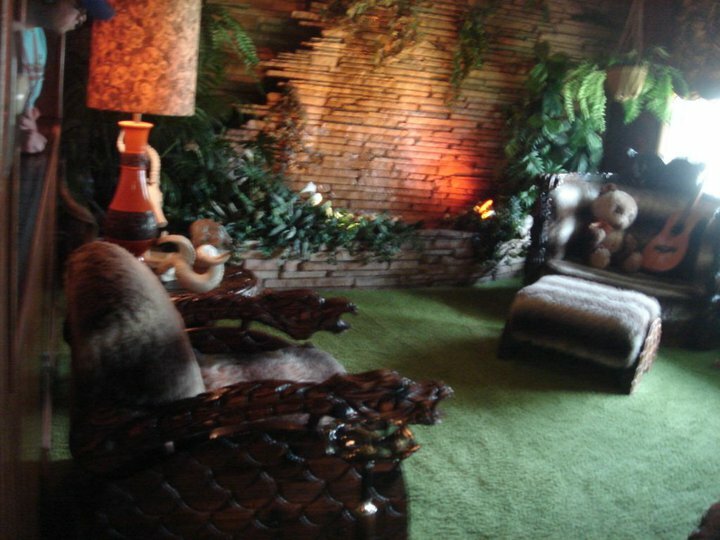 Here is the entrance to the Auto Museum and a blurry picture of the Jungle Room in the mansion. Flash is not allowed so that all the furniture and decorating can be fully preserved, so most of our images are less than perfect. Oh well – you’ll just have to visit! You’re not allowed to go upstairs in the mansion, as it has been respectfully preserved for the Presley family. If anything, it just adds to my desperation to see it, and the feeling of mystery in the place. You also get to see his splendid lounge, home-office and stables. 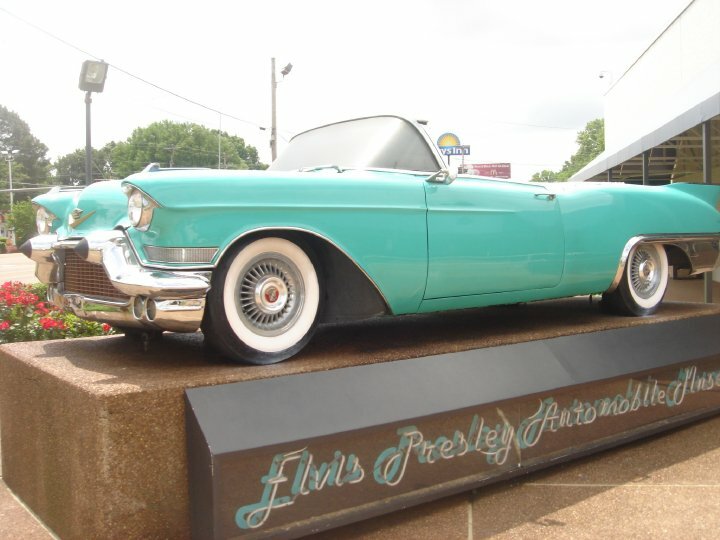 You can find it on Elvis Presley Blvd, not far from the Heartbreak Hotel, which is actually at the end of Lonely Street. There is a free shuttle bus running from outside of Sun Studio right to Graceland and the Rock and Soul museum about every 15 minutes. Handy. That brings me nicely to Sun Studios – where Elvis Presley himself cut his first record – among loads of amazingly talented musicians who all had a hand in shaping music. I’m talking like artists including Johnny Cash, Carl Perkins, Jerry Lee Lewis, Howlin’ Wolf and Roy Orbison to name a few. Their museum tour is cosy but seeped in beautiful history, and their tour guides are as passionate as they are knowledgable. Well worth a visit – some of the people we toured with were reduced to tears at some of the memorabilia they have. Plus, you get to sing down the same microphone as Elvis, Jim Morrison and Johnny Cash have sang down. Or kiss it. Or whatever. There is also Mud Island River park. This is an amazing historical site which follows the history of the Mighty Mississippi and Riverboat life. Throughout the park there is a model of the Mississippi, you can walk along in it, and cross the state lines, winding around the park, finally reaching the Big River’s mighty mouth in Louisiana. When we visited, it was Pirate day, which was a hoot. This inspired us to take a Riverboat Ride on the Mighty Mississippi – so we took a half day trip on the Memphis Queen. This was SO worth the money, our tour guide was fantastic and comical – plus we got to cross the state line into Arkansas – although we didn’t disembark. You can find out more about Riverboat rides and booking them here. I’d recommend either of the River-Based attractions for kids – particularly Mud Island. But what else is there for kids? Well, there’s PigglyWiggle and Pink Palace. We didn’t get to see either of these but have it on good authority that they are a blast. We did, however, visit Memphis Zoo & Aquarium. 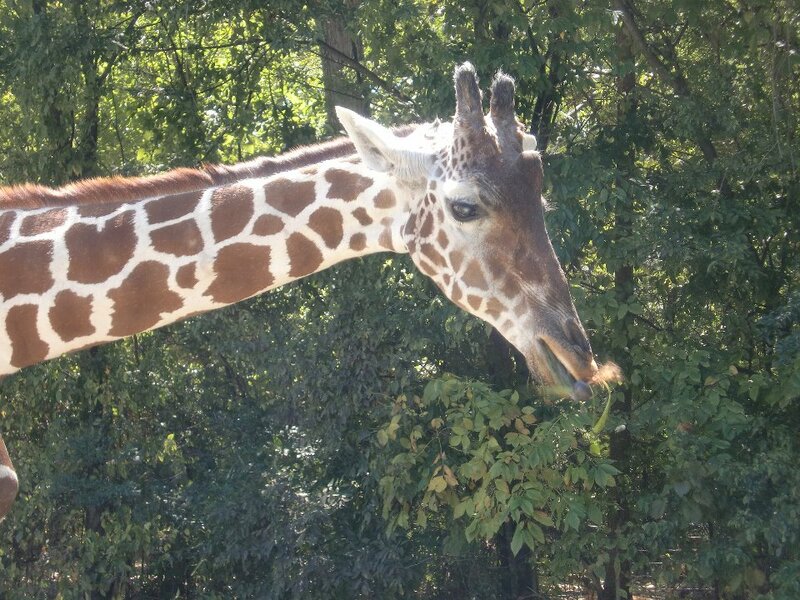 I’m not sure how I feel about Zoos – I am easily swayed by arguments both for and against them, but I have to be honest and say we thoroughly enjoyed our day here. It was a real treat, and they have so many animals – plus their staff are all very knowledgeable and clearly love their jobs. 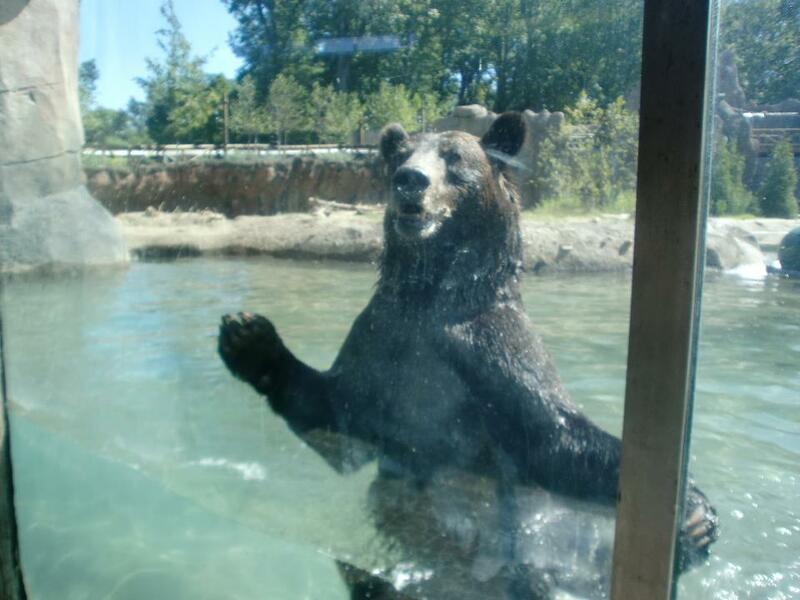 They had 2 Grizzly bears – one was grumpy, the other was swimming. 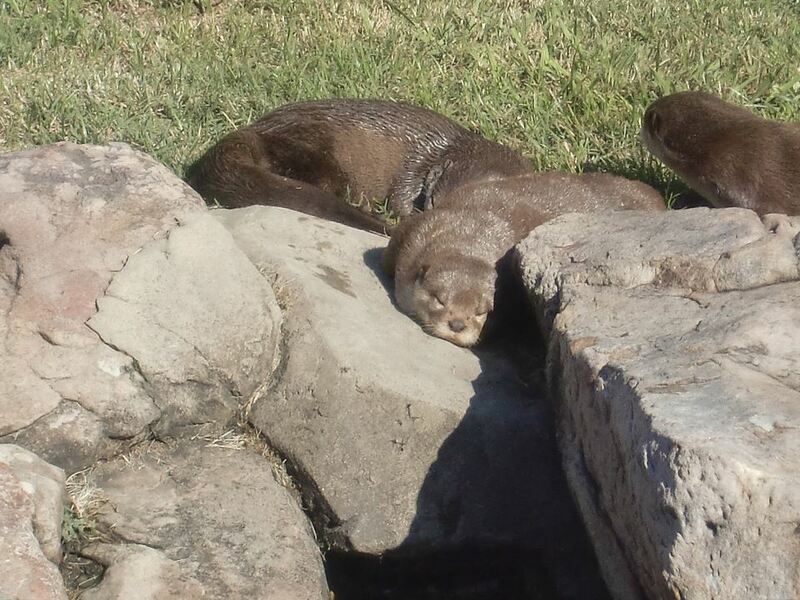 There were some really adorable otters who were sunbathing together. 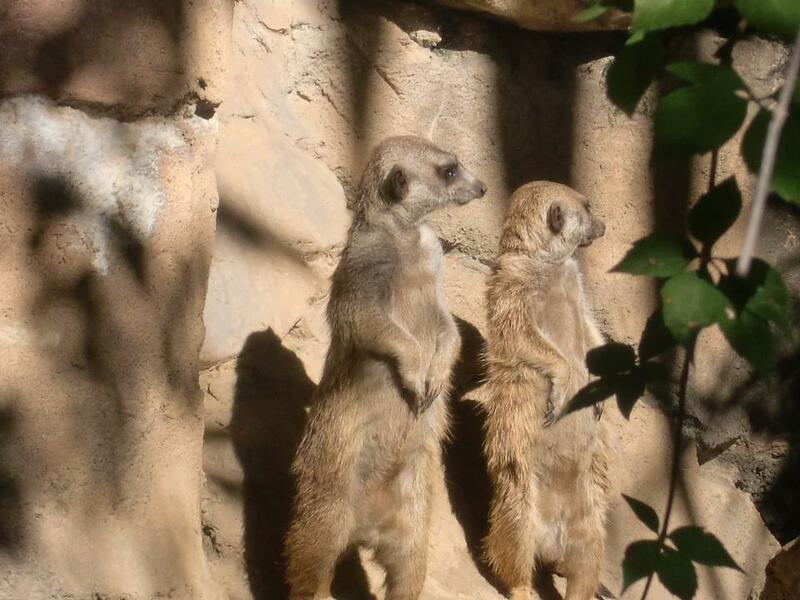 There were also Meerkats and Giraffes – and all sorts of lovely creatures. But what of the nightlife? 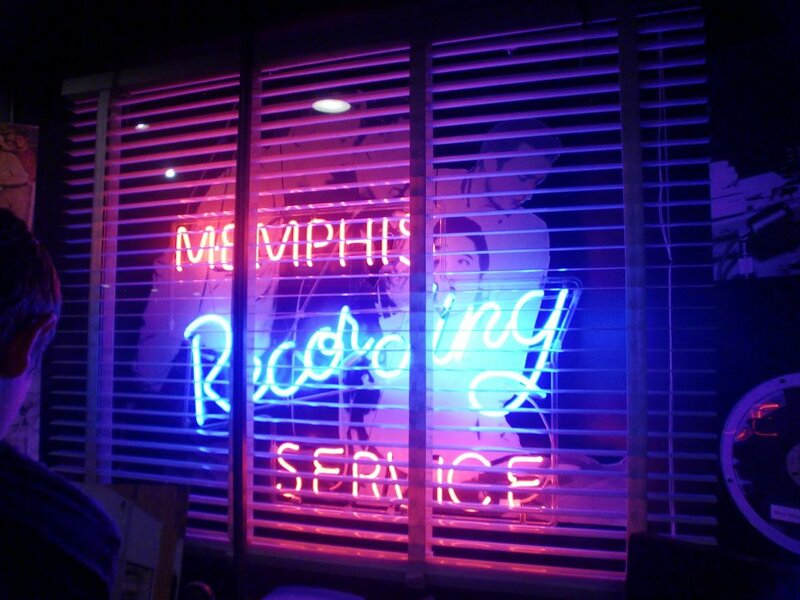 You must have heard of Beale Street – even if only in a song. Beale Street feels like my main artery – the life and love and atmosphere pumping up and down that tiny, glorious patch of Earth is indescribable. 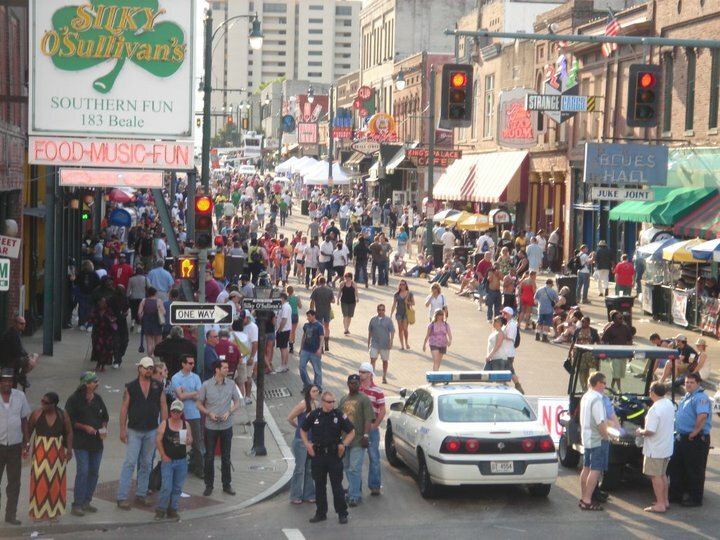 The picture above is taken at the Memphis in May festival, so it looks pretty bustling. It’s usually quite busy at weekends, but much quieter during the week (we have found). Except for Wednesday night when it’s Bike Night on Beale. That’s when all of the bikers turn up with their really impressive Hogs. As you might expect, the music is mostly Delta Blues & Soul, with a healthy helping of Rock n Roll – but there are places to find a bit of R&B – specifically Club 152. That’s not really our scene, but the first time we went there we saw the wonderful Grant Garland playing – who is one mean guitarist. He now plays for BB King at BB’s Blues Club in Las Vegas – we’ve seen him there too. 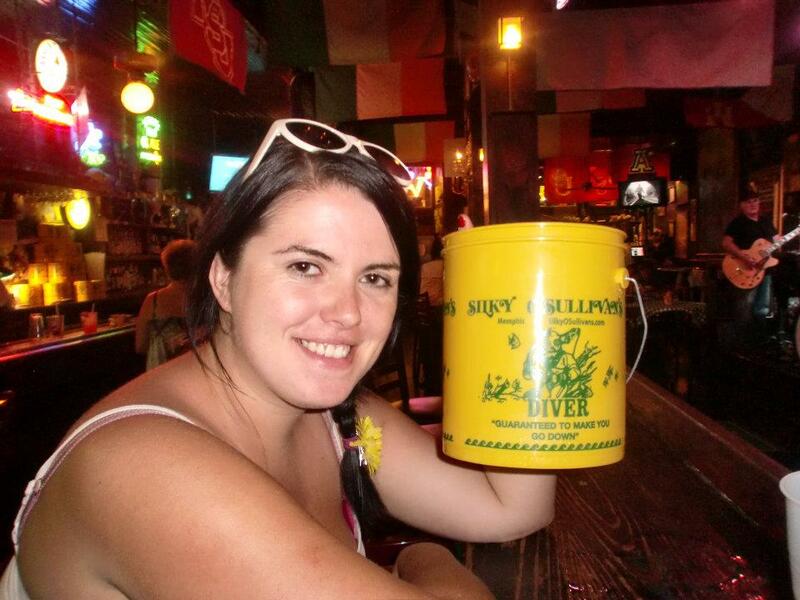 Our favored spot on Beale was Silky O’Sullivan’s – an Irish bar. Trust a Brit to go to the home of music and find an Irish Bar. 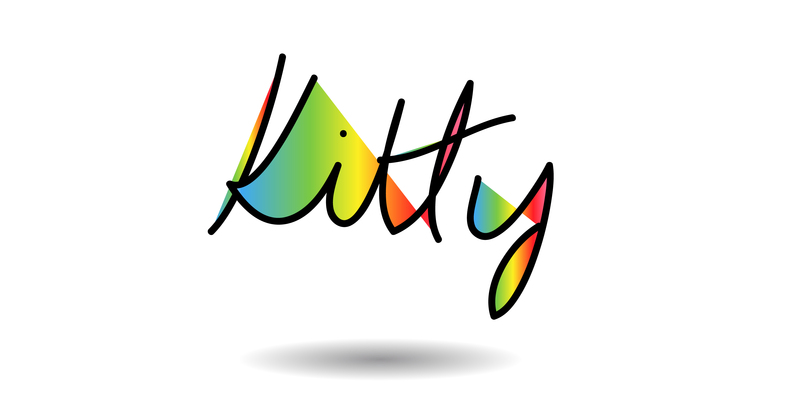 They have some insanely good musicians on there – and as much as we wanted to go to other places, we kept gravitating to Silky’s every time we visit. They also do this crazy huge cocktail called a Diver. Check me drinking mine like a sweaty mess! Artists performing here are plentiful and always very good – but our favourites were a lovely woman named Barbara Blue who has a voice that could stop time if it had to – I was put in mind of Janis Joplin slightly, and couldn’t take my eyes off her. We also frequently turn up to see a gentleman named Craig Schuster (a pianist) who I suspect had motorised fingers – he played like the Killer. 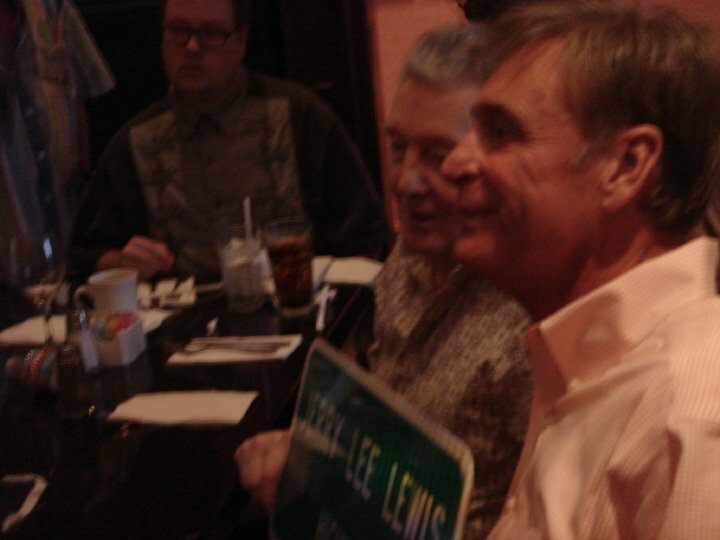 Speaking of the Killer, on one of the very few occasions we visited a different bar, The Hard Rock Cafe, we only decided to go in when Jerry Lee Lewis was eating! They were naming a street after him, and he was in there celebrating. What a lovely, lovely gentleman. He might think he’s going to hell, but I don’t. So.. what else is there in Memphis? I should have broken this down into lots of little posts, but its Travel Tuesday baby! Amazingly, there is a place of huge cultural importance in Memphis, TN that we didn’t know about the first time we visited. For shame, we passed right by the place, and I exclaimed “The Lorraine Motel. It sounds familiar – perhaps I stayed in one in Florida”. Do you know what the Lorraine Motel is? It is the place where Martin Luther King Jr was shot. It is also now the National Civil Rights Museum, and easily one of the most evocative and wonderful places I have ever visited. I love food – my relationship with food is romantic and tender and enthusiastic – as well as opulent, aggressive and desperate. I love it. Food is my boyfriend. The food in Memphis is like, I imagine, going on a date with Henry Hill from Goodfellas after always going on dates with people like Roy from Corrie. It’s like an orchestra playing a delicious, sweet & smokey symphony in your belly – and all you want to do is keep listening. From Catfish dinners (my favourite) to Pulled Pork, we sampled everything we could get out hands on, at any place that could seat us. Alligator nuggets at the King’s Palace Restaurant? Check. Steak Massaman Curry at Bangkok Alley? Check. Filet Mignon at The Butcher Shop? Check. Our favourite places to eat were The Flying Fish, which is just off Beale, across the road from The Peabody & Peabody Plaza, Bangkok Alley and there was a really sweet place called Westies on the way out of town that made the biggest Brownie in the state. Delicious. We also had a few Elvis Specials in Graceland’s diner. I only regret that back then I didn’t take photos of everything that crossed my lips, cause there were some corkers! What about places to stay? I’ll keep this short and sweet. We’ve stayed in some amazing hotels there, and also some complete dumps. Our first night ever in Memphis we stayed in The Benchmark hotel, which I suspect was very lovely in its day, but quite dated now. It would have been lovely if our view had been better than an Airconditioning unit. We then moved to the Sleep Inn at Court Square which was lovely in every way – fantastic staff & breakfast was great. The only thing it lacked was a pool. We have also stayed in the Crowne Plaza which was pretty nice, good free coffee and a swimming pool – plus right over the street from a lovely little church and a few bail bonds places which provided some very interesting balcony peeking. We are the sort of people who always say “We’re not scared of a rough area – a room is just a base!” and one time, with that in mind, We ventured up Llamar (a street) and booked a stay in the Real Value Inn. Real Value it was not, you can read my review here. Since Memphis, TN is both the greatest place on Earth and the Crime Capital of the US, I would suggest staying local to Beale and not scrimping on accomodation – you’ll only save about $10 per night anyway. I have so much more to say, but don’t want to waffle. Do you see how wonderful Memphis is, now? ← Top Ten Trends I Really Don’t “Get”.